The cast are supported by a junior chorus of 45 young girls and boys! So what are you waiting for? Grab your merry men and women and don’t miss the sheriff-busting, arrow-shooting, tights-wearing pantomime extravaganza! 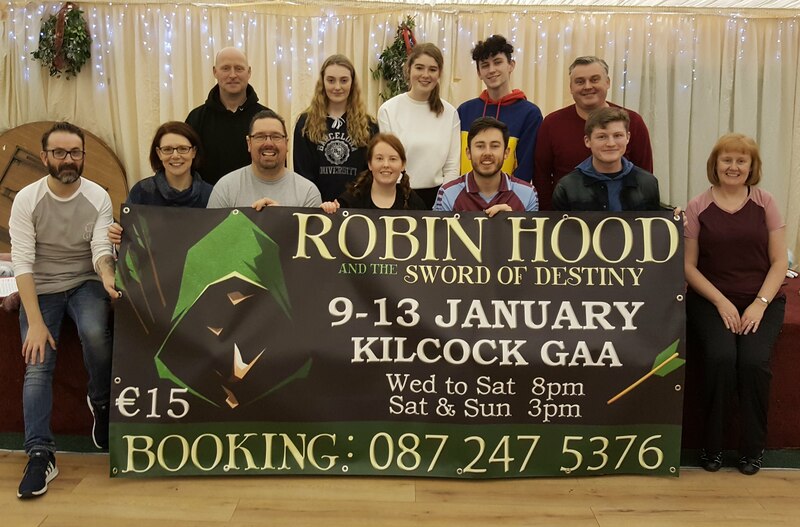 Robin Hood runs from 9th to 13th January 2019 at Kilcock GAA (Wednesday to Saturday evening performances at 8pm and Saturday & Sunday matinee performances at 3pm). Local outlet: The Chocolate Box. All seats €15. Family and group rates available. The talent was outstanding on both days which gave the production team a very tough task. Thank you to ALL who auditioned and Congratulations to all those cast. Our last and final night of auditions takes place on Friday 12th October. We are no longer accepting new principal audition registrations. 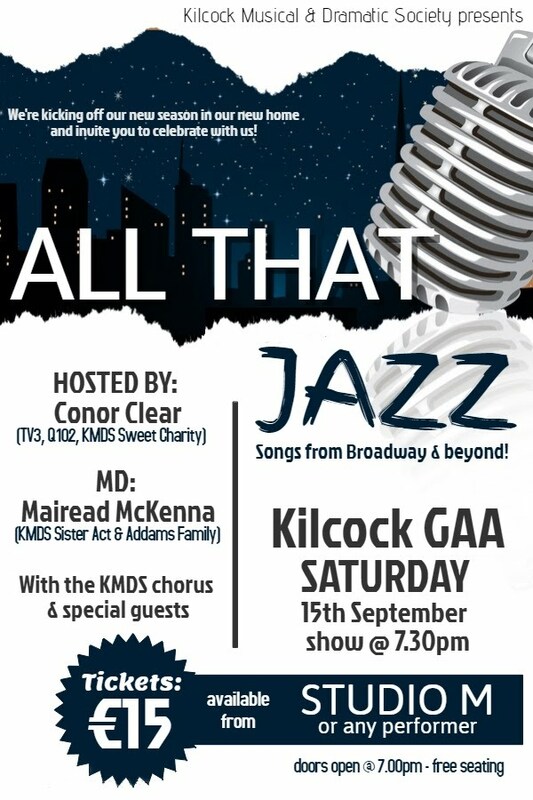 Thanks to all who supported our concert fundraiser in Kilcock GAA - All That Jazz - held on Saturday 15th Sept. Thanks must also be extended to the numerous people who gave their time so generously on the day/night to make it a success...Performers, Mairead McKenna, Conor Clear, Deirdre Browne, Catriona Browne, Eilis Browne, Tomas Fitzgerald, Vinny Osborne, Noel Murphy, Mark Nolan, Damien Nolan, Marie Murphy, Orla Fortune, The Production Team. KMDS will kick off the new season in our new home and invite the community to celebrate with us on Saturday 15th September in Kilcock GAA. Join our Host, Conor Clear, and Musical Director, Mairead McKenna, as they introduce the KMDS Chorus and many special guests, for an evening of music, with songs from Broadway and Beyond! Tickets are priced at €15 each and are available locally from Studio M, Kilcock. Tickets are also available from the chorus and performers. Please contact kilcockms@gmail.com or through the Facebook event for more information. 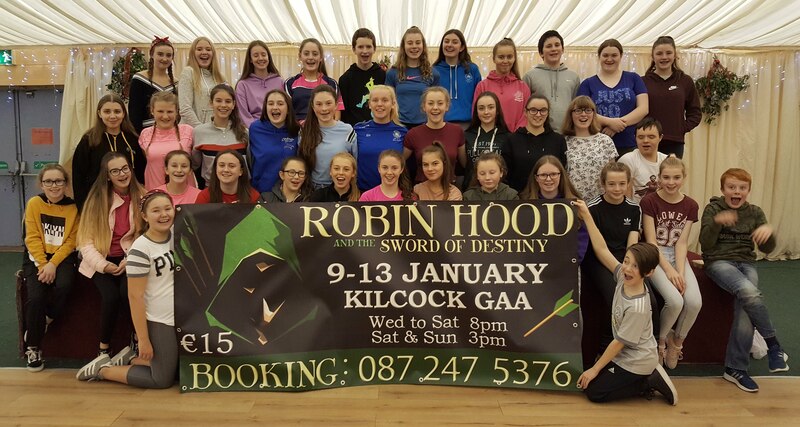 KMDS are delighted to announce the Panto for January 2019 will be the hilarious Robin Hood & The Sword of Destiny. This season's Panto is written by Leixlip duo Ross Murray and Ian Tighe. 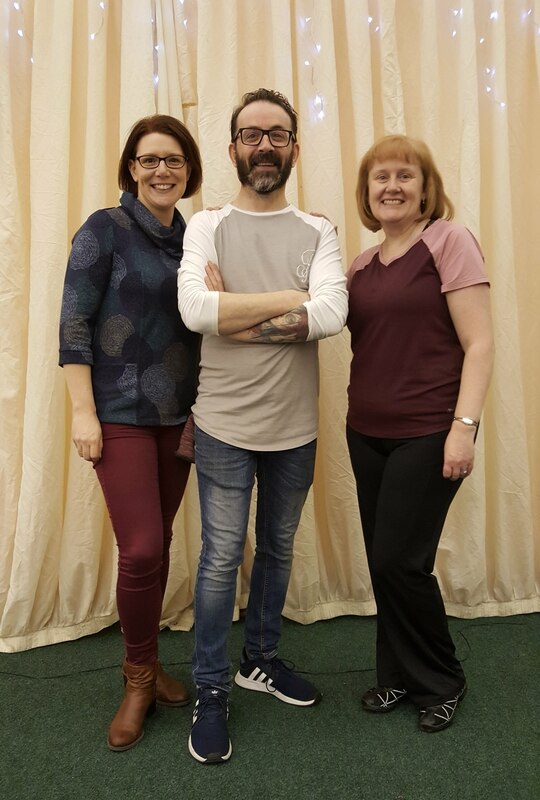 The Panto will be directed by the team that brought you Cinderella last season: Director Dominic Reid, Musical Director Andrew Docherty & Mairead McKenna, and Choreographer Fiona Shirran. We're thrilled once again to have the team on board. Junior Registration will take place on Sunday 2nd September at 2pm in Kilcock GAA. All junior members must be 12 years of age on or before the 1st January. As per previous years, registration takes place on this date only. Anyone intending on registering must have a parent/guardian present on the day, if under 18 years. A registration fee of €5 will be charged; this fee will be taken off the full cost of membership for the season. 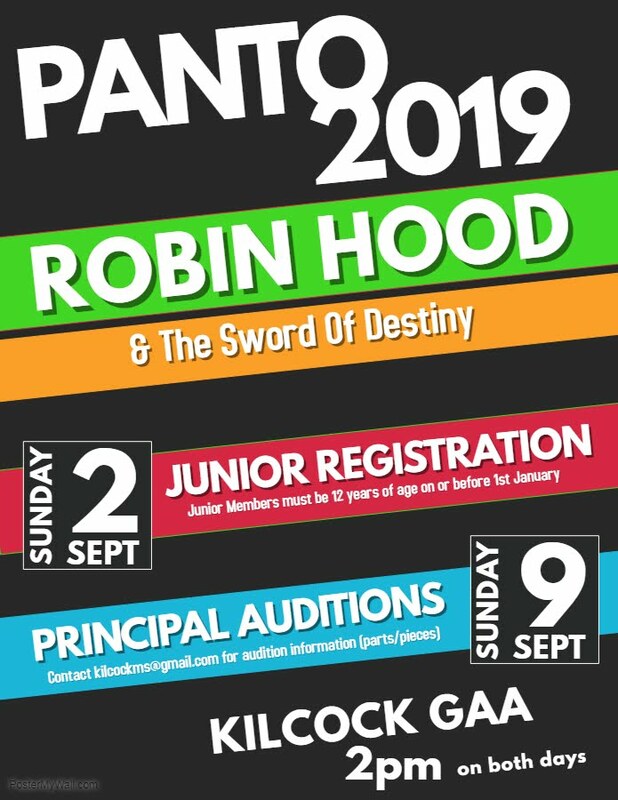 Principal Auditions will be held on Sunday 9th September at 2pm in Kilcock GAA.